Casa de Venezuela is pleased to invite the media and the Venezuelan and Hispanic community to celebrate the Independence Day of Venezuela on Monday July 5th. 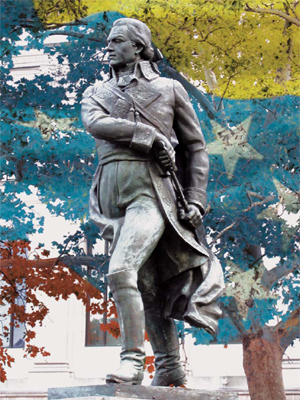 The 199th Anniversary of the Independence of Venezuela will start at 1:00pm with a solemn Floral Wreath laying at the public square Francisco de Miranda. Members, the board of directors and friends will gather for this patriotic event as Casa de Venezuela will soon engage in the preparation for the activities for the year 2011 to celebrate the Bicentennial Celebrations of the Independence of Venezuela. For more information, please contact Liselotte Harrity and/or Emilio Buitrago. (*) Cash bar event for those attending the Floral Wreath Laying at the Francisco de Miranda’s Square.